PARiConnect is made available by PAR and provides an online testing platform for selected PAR assessment tools, giving clinicians and practitioners the capability to remotely test students. It additionally allows qualified users to present assessments online while a student is in the practitioner’s office, and it may allow the PAR Customer (who may be a teacher or school official) to use his or her PAR desktop software application to gather responses from remotely located students and run reports based on those responses. These additional stipulations reflect your standing as a covered entity with access to confidential electronic protected health information (“ePHI”) related to data that are stored on PARiConnect. No third-party rights, including, but not limited to, the rights of Customer students or parents, are intended to be created by this policy. PAR reserves the right to amend or change this policy at any time (even retroactively) without notice. To the extent that this policy establishes requirements and obligations above and beyond those required by FERPA, the policy shall be aspiring and shall not be binding. This policy does not address requirements under other federal laws or under state laws. PAR will establish on behalf of PARiConnect appropriate technical and physical safeguards to prevent Customer client/patient ePHI from intentionally or unintentionally being used or disclosed in violation of HIPAA’s requirements. Technical safeguards include limiting access to information by creating computer firewalls and by requiring users to have unique, secure user IDs and passwords. Technical standards also include encrypting all Customer student ePHI. Physical safeguards include locking doors and/or filing cabinets, establishing secure methods of access to PAR facilities, and undertaking other measures to secure computer workstations, laptops, mobile devices, and other devices/methods used to access PARiConnect by PAR employees. Firewalls also help ensure that only authorized parties will have access to Customer ePHI and that Customers will have access to only the minimum amount of student ePHI necessary for assessment administration and/or scoring/interpretation and related administrative functions. PAR’s legal duties with respect to Customer student ePHI. 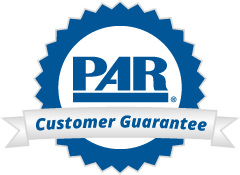 PAR shall mitigate, to the extent possible, any harmful effects that become known to it because of a use or disclosure of Customer student ePHI in violation of the policies and procedures set forth in this Policy. As a result, if an employee becomes aware of a disclosure of protected health information, either by an employee or an outside consultant/contractor, that is not in compliance with this Policy, the employee shall immediately contact the Privacy and Security Officer so that the appropriate steps to mitigate the harm to the individual can be taken. PAR will document certain events and actions (including authorizations, requests for information, sanctions, and complaints) relating to a PARiConnect Customer student privacy rights. PAR’s policy will abide by FERPA guidelines, assisting schools in providing parents/students with an opportunity to inspect education-related reports. If the report is misplaced or unavailable, there is a possibility that the test will have to be retaken for the results to be redistributed. By FERPA guidelines, this process will be done expediently, and it is the responsibility of the institution/school to contact PAR well in advance in order to adhere to the 45-day time limit. Information requested must pertain to an assessment taken by a student. PAR will disclose only the report generated from the assessment, which will contain its results and directory information. No further information will be provided. Parents have the right to request that inaccurate information in a report be changed. Every request received will be considered, and the appropriate steps to alleviate the situation will be taken. Ultimately, the school must contact PAR in order to inform us of the necessity of a correction. This option can be used only on reports based on assessments given by Customers. PAR is not able to change grades, opinions, or decisions made by the teaching staff of schools. PAR, as it relates to PARiConnect, will use and disclose PARiConnect student ePHI only as permitted under FERPA. Reports generated are sent back to the Customer’s given e-mail address. From that time, it is the Customer’s responsibility to comply with FERPA. If the report is considered part of the student’s education record, the parent/legal guardian of the student may request the report. If the student is age 18 years or older, he or she may request it him- or herself. If the school wishes to disclose the information, it must satisfy all the FERPA requirements for a valid authorization from the parent/legal guardian. All uses and disclosures made pursuant to a signed authorization must be consistent with the terms and conditions of the authorization.